The apartment is sometimes unkempt and the meals aren't always locally-grown masterpieces, but these girls are well-loved. They swim in the kind of compassion and acceptance that isn't contingent on their compliance, their submission or silence. It's the kind of belonging that's there for them just as fiercely in their moments of struggle as in their moments of ease. I watch them spring from this board and take dives I still can only dream of--they risk being themselves. They stand for what they know in their souls is right. And their hands are quick to reach out to others, whether they are falling off swings or fearing the worst. Their small hands are there for me, too, at the end of my day. Slipping into mine as we walk down darkening sidewalks or pounding out the gentlest pizza-making-massage-moves you could ever dream of. 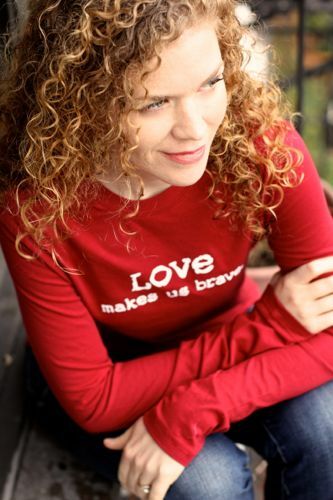 Our love is a circle, and bravery is a dance we do together. 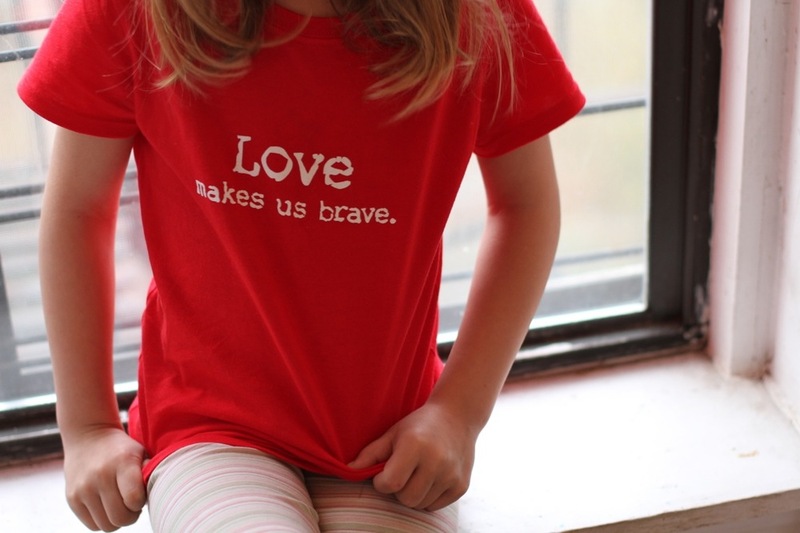 Love Makes Us Brave shirts now available in girls' and women's sizes, among other styles, in our store.